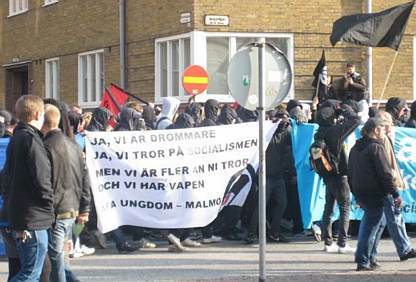 ANTIFA Storm Troopers in Malmö……! – The Tundra Tabloids……. 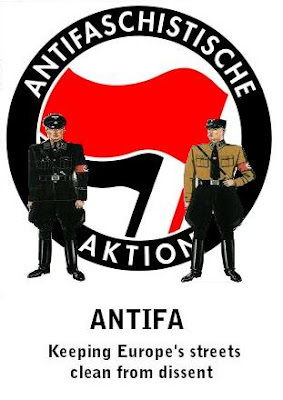 ANTIFA Storm Troopers in Malmö……! These people really mean business, check out what the Baron has over here on them, they are a bunch of Goons, loons and baboons all rolled in one. 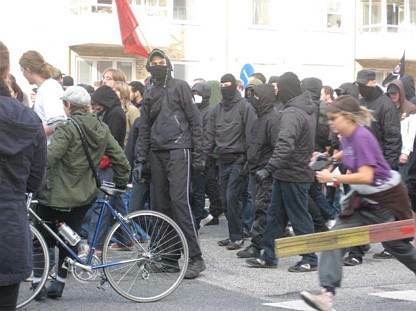 Clashes between police and demonstrators broke out on Friday as Malmö played host to the European Social Forum. Rocks were thrown at police, windows were broken and a woman was raped as 800 people demonstrated to highlight climate change.The European Social Forum, an annual event, carries the slogan “another Europe is possible” and some participants displayed their disgust at the current world order by resorting to violence on Friday.Around 100 protesters threw rocks at police and broke windows on Friday at a demonstration near the Triangeln shopping mall in the centre of the southern Swedish city. A reader in Sweden sent us some photos and a brief account of the events in Malmö. I don’t know the original source of these photos. 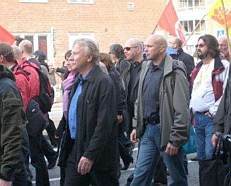 Ilmar Reepalu, Socialist #1, the mayor of Malmö [at right, with blue shirt]. These people are playing for keeps, they ain’t messing around. Here is my report. I have attached a couple of photos. The first photo is rather disturbing. It shows a band of some sort of humans preventing the police from moving about. I find it odd that even they were powerless to deal with that lot. However, I think that they were probably just unwilling. The second photo shows the police actually escorting Antifa and other scum into the city before pulling back. I think this photo tells more than many others. 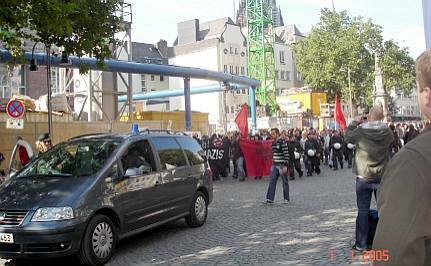 Previous Post Previous Post Atlas Shrugs: A note from a Jew Beaten in Germany……. Next Post Next Post Pakistan: Husband Tortures 12 Year old Wife……!